The price tag of flood damage in the United States hit an astounding $8.4 billion in 2011. 2016 saw the most floods in the United States on record. While you may think flood insurance isn’t all that important, it is absolutely crucial. If you live somewhere where it rains, you are susceptible to floods. Flooding can also occur from leaky pipes and other plumbing issues. However, this is not considered a flood as defined by FEMA and flood insurance companies. The best place to start is the definition as described for flood insurance of what is a flood. In this article, we’ll outline not only why you need flood insurance, but why having Better Flood insurance do the shopping for you making us the flood insurance agency you need. If you’re tempted to skip on add-ons or cut down on your monthly outgoings, you might decide flood insurance isn’t for you. Maybe you live in a dry climate and it doesn’t rain very often. Maybe you live on higher ground and think you won’t ever need to make a claim. Unfortunately, many people find themselves in this scenario. At the time of writing this Hurricane Florence is sitting on the Carolina coast. Some statistics say that Florence will dump 10 trillion gallons of water – that’s enough water to cover the entire state of Texas (268,820 square miles) with 4″ of water. We got hundreds of calls looking for coverage the day before the storm, sadly it is too late. When storms are forecasted you need to have coverage in place way before the risk is knocking at your front door. Most people think they’re immune to flooding, we hear all the time that people believe their home is never going to flood. However, many could and end up with serious damage totaling 10’s of thousands of dollars. No matter where you live, you need flood insurance. Most of us don’t have $70,000 (average claim) sitting in the bank to be able to pay for flood water damage let alone $5000. And those that do have a large sum of money sitting in the bank have already purchased a flood insurance policy. You never know when a storm will come in and dump enough water to cause a flash flood. One thing is for certain is flooding can happen anywhere and due to FEMA’s outdated maps, the land development that changes the way water flows and an evolving climate it is hard to guess where the next big storm will hit. You need to protect your family from financial ruin, protect your home, investment, and largest asset you have. Only then will you wish you had purchased a flood insurance policy. But which one is right for your property? This is where you let Better Flood Insurance Agency find the right policy for your unique needs. What Can A Flood Insurance Agency Do for Me? You can get flood insurance from most insurance companies. However, most aren’t experts and flood insurance is a very complicated policy to write. We often times find yourself fixing other agents errors. Some think that their homeowner’s policy covers flooding, most do not – the best way to make sure you are covered is to get a stand-alone flood policy. If you choose to work with your family agent here are some questions to ask them to make sure they can deliver on your properties needs. How many flood policies do they have? Anything under 700 is unacceptable. How many markets are you shopping? Most generalist agents think that the NFIP is the only option (Not true today). What the difference between the NFIP vs Private Market Flood? How many Lloyds of London flood insurance companies are you shopping for me? Each state is different and we have many preapproved options that have passed our test. Better Flood helps you shop around to find the best option for your needs. Ideally, we will speak with you about your property, assess your risk of flooding and find you the flood insurance policy that meets your budget. 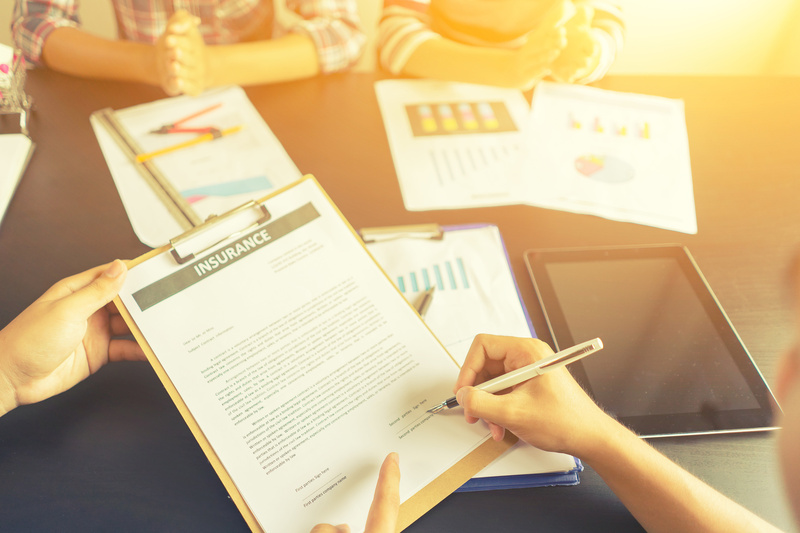 And if you were an early adopter of the private market flood insurance policy, it might be a good chance to shop it and see what else is available to make sure you are getting the best premium. Better Flood Insurance doesn’t deal with every kind of insurance possible. We don’t try to sell you a life insurance policy to go with your flood policy. That’s because we are a FLOOD INSURANCE ONLY insurance agency. That’s right. We only deal with flood insurance. We’ll help you get it right the first time. Additionally, we know all about flood insurance companies and will find one that matches your goals. Most people want to make sure they get the best price and forgo coverage if this is you we hope to educate you on why the coverage is important and why you get what you pay for, and if we are successful we will find great coverage at a great price. Having the flood insurance agency like Better Flood insurance do your shopping you-you can know that you are getting the best price. If you live somewhere where it rains at any point in time, you need flood insurance for your home or for your business. Better Flood is the flood insurance agency that can help cover both. With Better Flood, not only will your home be done for you, but we can help you decide on the best rates and coverage for your business. If you’re moving to a new area and setting up both your home and business, we can help you get on your feet immediately. You won’t need to shop around for flood coverage. We will do it for you. Most of the time we can take a look at your property and see which option will get you the best price. We can help you get started with a 15-minute phone consultation. After this, you’ll be almost ready to sign up for your flood insurance. What is the waiting period for a flood insurance policy to become effective? It varies from company to company and whether or not the policy is an NFIP vs Private Market Flood. For both NFIP and the private flood insurance market. Loan closing, have no wait and can become effective on the closing date. Provided that the insurance is required as part of the loan by a federally regulated mortgage company or licensed mortgage broker. There is not a waiting period if the applicant is looking to replace their current NFIP policy. In this instance, the policy will become effective the date that the full payment is made so long as the signed application, and cancel of existing policy is completed. All new policies will require a signed NO KNOWN LOSS STATEMENT. As for the waiting period, it varies from where we place your policy and which private flood insurance company. Some have no wait, some have 10, 14, 15 or 17 days wait. We will address this individually with each application. And the NFIP has a 30 day wait period for all new business and endorsements. If you’ve shopped for flood insurance, you may know that there are a few different providers. There are several private flood insurance companies as well as the private flood companies that sell the National Flood Insurance Program (NFIP/FEMA) that you can choose from. Better Flood doesn’t just handle one type of flood insurance. We can also help you switch if you feel like you’re paying way too much. You don’t have feel trapped with high premiums or high monthly costs. Better Flood operates nationwide, meaning we can make sure you are working with the flood insurance agency wherever you live. With the expert knowledge we have up our sleeves, we can ensure your items are safe from any kind of damage, no matter where life takes you. If you’re thinking of moving but aren’t quite sure where to go yet, we can also help give you a cost determination of flood insurance for your future home. The fact that we operate nationally gives you tremendous flexibility. It also allows you to use Better Flood to watch out for family members who may live in other states. Why Should We Go with Better Flood? Better Flood is the flood insurance agency that is so committed to its customers and field of service that we call ourselves the “flood nerds.” Not only can we help you find the best rate, but we also are constantly keeping our their finger on the pulse of the world of floods. We truly care about keeping their customers’ items safe. For more information, read the “Flood Nerd” blog.